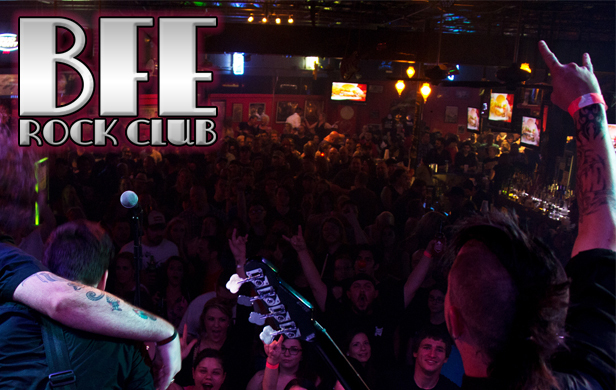 BFE Rock Club is Northwest Houston's Premier Live Music Venue and Sports Bar. We are located at 11528 Jones Rd (1/4 mile north of FM 1960). We specialize in live Rock n' Roll music and feature the hottest local and national acts every week. BFE is also a renowned Sports Bar, featuring 18 TV's, a full kitchen. pool tables, dartboards, etc. If you're a fan of the outdoors, you'll also enjoy our large patio. Smoking is always permitted in BFE. We look forward to seeing you at the new club. Visit us on Facebook at http://facebook.com/bferockclub and get the latest information on bands and events! We are normally closed Sunday, Monday, and Tuesday unless a special event is scheduled. Check our Calendar for a full list of upcoming shows.